Poltical Science Pol 411. Committes and Chairman. : A brief Essay on how House Committes and Chairman Shape Legislatoin. Poltical Science Pol 411. Committes and Chairman. A brief Essay on how House Committes and Chairman Shape Legislatoin. Legislative Paths for the Process of making law in the House of Representatives. Political Science 411 with Robert Browning. (written by Tim Radice). 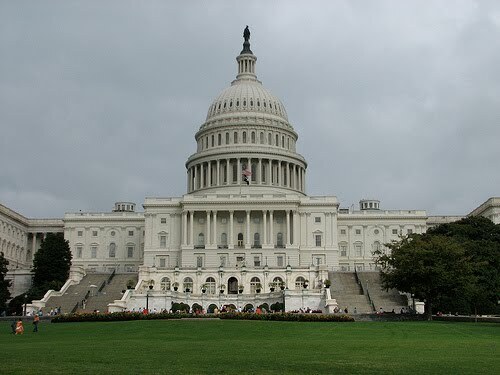 The United States constitution and its legislative body of representatives stands before a nation of laws and bills which all have many agendas and items of interest that comes when dealing with the nation’s problems. From war to health care and so forth. Interestingly enough, the process of rule making and legislative action, Referral or even just introducing a bill onto the floor for debate, has its own unique process of inoculating a plurality for the vote of Congress. 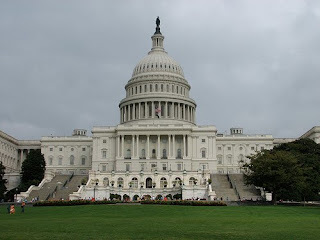 Legislation is passed differently from the house and the senate, with the house coming into a much more modest and unique style of process which usually behaves faster and responds quicker ( Strom and Rundquist 1977), with the submission of bills that come in and out through for a daily basis. Even in the process itself, for example, opening a bill onto the floor for debate or jousting what rules should be made or even referral congressmen and women who have made a pact to formulate a bill onto the open floor, have unique ways of getting into the sphere of influence in the House of Representatives . The introduction of a bill is what starts the life of a law, but understanding this both the house and the senate cannot act on the same bill at the same time. Introducing a new bill requires three basic steps before it goes into what is known as law. Nick Rahall II. Head of the Commitee on Natural Resources. When a bill has been properly introduced, there are a subsequence of options that a committee can do, for instance. A committee can reject the bill, they can remake it, amend it, they can ignore it and vice versa. The committee process has an also very interesting twist in the grand schemes of congresses lawmaking, there are committee chairman who can, depending on the legislation support or deny certain parts of legislation that come into the arena. The committee chairman is the agenda setter, he can almost determine what any legislation can come and go. A prime example of the committee chairman at work comes from this video which stars the head committee chainman for the "Committee on Natural Resources", Nick. J. Rahall II. The chairman goes onto propose a look at certain types of legislation for the endangered species act. and seeing a hearing for this issue. Now understanding this distinct process if very interesting for studying the process of how a committee chair works. Understanding the Committee chairs role in all of this business is absolutely required for this kind of issue of chairmanship in the House of Representatives. Whenever there is legislation that has to be ordered and viewed, for most non-controversial legislation there will be a decent sphere of influence on the bill. The players or persons of interest for these types of legislation, greatly diverse, from lobbyists, to even the President of the United States. Chairman's who view the bill as not to their own interest can simply reject the bill, now of course the committee itself can always vote and take the legislation back onto discussion if they cannot get the chairman's influence at first, with doing so, are also able to pour in resources for getting that certain type of legislation passed. In a hearing of the armed services committee in the House, there was an example of one chairman having a hearing about Armed Nuclear Weapons policy, is the chairman of that committee, Ike Skelton, would begin to discuss his positions about the dealings with Nuclear Arms and uses on other nations. In this part he has taken the issue on hand, but interestingly there are some behavior patterns of a committee chairman like Ike, which can be taken into account on how committee chairman's operate. In the politics of all this, a Chair who once again opposes measures, will often try to find those panel members that are against it and the chairman is usually the first to do so. In this retrospect the chair can also block resources to that certain type of legislation within that regard as well. Now on the other hand, if the committee chairman is in favor if the bill is well received or if the interest would help his or her constituents, he or she will give that bill the top priority and then large amounts of resources into that bill at hand. The high ranking officials on the minor party side of the aisle also have control over the resources of the minority staff and some of the other powers given to them. 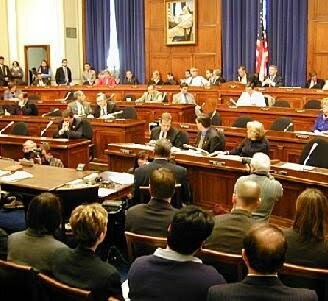 During a hearing of a bill, in which the committee chairman's and seat holders have decided to having a hearing about the legislation of a bill. Now the areas of discussion can wide greatly, however in this example that we see with the Federal Bureau of Investigation Budget debate. Interest groups can have a grand scheme of things for example, great power over the hearings can influence the legislative process in a comities hearing. The format of committee hearings can vary across legislation, but in the traditional form, there is usually a joint panel that will begin to discuss what types of rules or amendments need to be mandated to the certain type of legislation that is up for hearing. For this example about the FBI, the organization is asking about the offer of federal fudging for their annual budgetary process and workings. Interestingly, will have sought ought through the chairman for aid in these acts. Some committees will even hold pre hearings to find or dig into that certain type of legislation to see if it is worthy of consideration of a hearing. There are pep talks for these hearings, like 5 minute types wear some of the members will talk about what is in the bill and what amendments were going to be proposed. Even after this they begin to consult among themselves to see whether or not they can do. There are also joint hearings in which committees from different areas will converge with another committee for the issue of debate. The general reason of this is that sometimes it takes a little bit more of expertise and sometimes that expertise are only savable in other areas of congress where the other representatives reside.
. There are also joint hearings in which committees from different areas will converge with another committee for the issue of debate. The general reason of this is that sometimes it takes a little bit more of expertise and sometimes that expertise are only savable in other areas of congress where the other representatives reside. A very good example of a joint committee adventure would be the issue of Economics. Regardless of anyone's party, the issue and discussion about the healthiness of the United States Economy is a vital part in any part of our nations Government. The economics summits in which there needs to be top discussion. This part in which there is a joint economic outlook takes on the shape and form in which the chairman of the Federal Reserve, Ben Bernanke, is show going through a hearing of a joint committee for the pondering future of the U.S. Economy. Last but not least there are the markups or the final votes on which the committee will decide whether or not the legislation is worthy of debate. This means that the committee may meet to mark up or even amend the bill itself to put the bill in its final form onto which it can be made for vote callings in the House. Usually when deciding the "Final Cut" on whether or not legislation is going to be put into or not, is once again determined by the behavior of the committee chairs. The way a person can tell is usually the person will try to get the interest of many persons as he or she can, however, outside influence will have a factor on whether or not the bill will still get called upon. For instance, in the health care vote call, there was a hearing on whether or not abortions were going to be funded under the new health care law that recently passed. The committees wanted to mark up a redraft of the final bill for looking at what needed to be some of the new amendments on those types of bills. In the grand conclusion of all these things, Legislation in the house does have a very dynamic and very subtle process of being considered law. The process of looking over, amending and even saying "no" on a bill, have a very small but complex process into which people who are experts and dedicated to that area are often needed for this process. Legislation has to be handled in a very careful and precise manner. References: Strom Gerald, and Barry Rundquist. 1977. "A Revised Theory of Winning in House-Senate Confrences." American Poltical Science Review (April): 448-453.